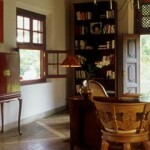 The Dutch House is located in Galle, near Colombo, in Sri Lanka. The hotel is an ancient Dutch mansion that has suites with views towards a croquet field and several gardens. 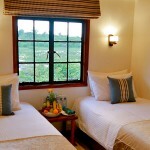 This secluded hotel has four double rooms. 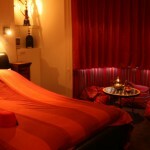 Each room has a large double wood covered in mosquito netting, a bathroom and decorations that follow a set theme. Each one of the four suites is decorated with colonial era antiques, and the four poster beds are covered with silk covers. Each room has access to thee suite private living room, which has tables, sofas and views towards the croquet courts, the Galle Fortress and the hotel’s gardens. Each bathroom has a separate shower and a claw-foot, colonial style bathtub. The bathrooms are decorated in sandy colours. The Ball Room room is a large suite. The suite has a terrace and a private patio where guests will be able to relax. 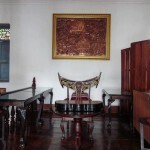 This suite is used for photshoots and ads, and is known for its antique decorations, bulky wooden carved furniture and red woods. The VOC suite is dedicated to the Dutch Oriental Indies Company, which used to be one of the main trade companies during the colonial era. This suite is decorated in light colours and has views towards the patio, and the croquet fields can be seen from the terrace. 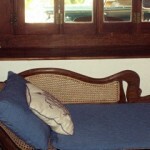 The Blue Room is decorated in dark blue hues and furniture covered in blue. The four poster bed has silk blue curtains. 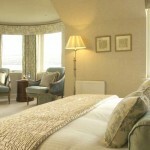 The room is decorated with Dutch antiques and the living room has views towards the croquet field. 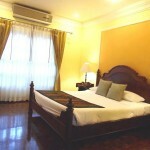 The Yellow Room is a yellow suite decorated with large lamps and wooden furniture. 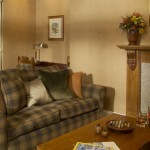 The suite has a double room and a living room which has access to a large terrace. 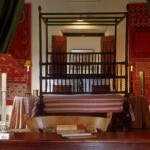 The four poster bed has silk curtains and Dutch colonial furniture. There are many pieces of art and sculptures that decorate the hotel’s halls and rooms. Guests will be able to walk around the mansion, filled with antiques. The hotel offers a late breakfast. 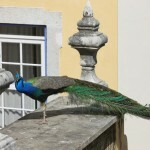 Visitors will be able to enjoy a traditional English breakfast on their terraces, in the hotel’s garden and in the patio. 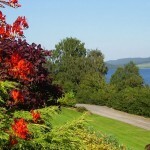 Eggs, toast, scones with cream and jam, fruit juice and tea are offered at breakfast. Lunch is served in the hotel’s gardens, next to the swimming pool and in the rooms. Dinner is served at the hotel next door, the Sun House, known for its dinners made using local ingredients, which change every afternoon. 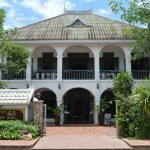 The hotel has an English-style tropical garden where guests will be able to enjoy walks. There is a croquet pitch which are used for croquet matches. There is an infinity pool and a deck with loungers. Croquet is one of the most played sports in the region of Ceylon. The croquet pitch can be used for large events. 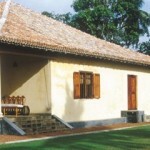 The hotel is located on a hill in the center of Galle, on the southern coast of the island. Guests will be able to walk along the beaches and visit the historical town. 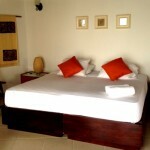 The personnel of the hotel has organize guided visits around Galle and other nearby towns. 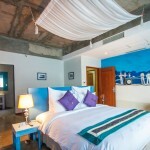 The hotel is located a short distance away from Galle Fortress. Guests will be able to explore the fortress and the city’s narrow streets. The hotel offers a guided trip in a vintage car around the region. A short distance away from the city guests will find many ancient tea plantations, Buddhist temples and several nature reserves. Guests can relax on the beaches of the Indian Ocean. The city can be explored during a trip in a tuk tuk, which can be rented at the hotel. 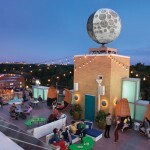 The Moonrise Hotel is located in St. Louis, Missouri, in the United States. 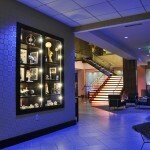 This hotel was built on one of the city’s most visited streets and has suites dedicated to the city’s Walk of Fame. 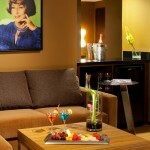 This hotel has several standard room and many themed suites dedicated to celebrities. 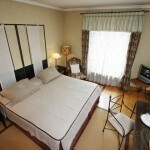 Each room is a double room with a double bed and its own private bathroom with a shower. The hotel is filled with colours and paintings. 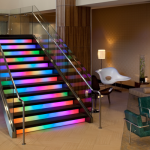 The hotel’s staircases change colours, and the lobby area is decorated with paintings of the moon. There are paintings in each one of the rooms. Each bathroom have bath salts for guests. There are several type of room, from Superior King and Superior Double Queen room to Cosmic Jacuzzi King and Walk of Fame rooms. 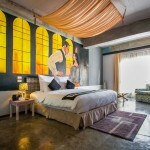 There are designer beds and paintings of the moon decorating each room. 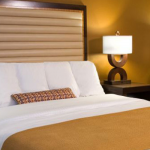 Guests who decide to stay at the hotel with their families can choose to stay in interconnecting rooms, which form large two bedroom family suites. The hotel rooms have views towards The Loop, one of the city’s cultural districts. There are several types of room. 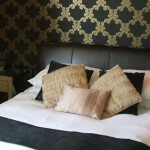 The Superior King room are double rooms with a large kingsize bed and a sitting room area for guests. Each one of the hotel’s rooms has WiFi access, iPod docks, a desk with a chair, coffe and tea making machines and a television set. 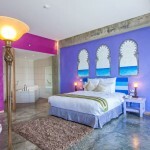 The bathrooms are decorated with ceramic tiles and glass, and have a shower, colourful lights and designer sinks. There are ten Walk of Shame suite. 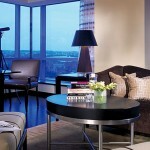 Each suite is dedicated to a celebrity whose plaque can be found in the city’s Walk of Fame. 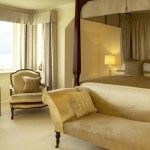 The rooms have a kingsize bed each. The living room area has a dining table for four, a fridge and a sofa. 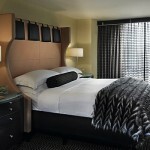 These rooms have two television screens each and each room is decorated with a star from the Walk of Fame. The themed suites are dedicated to the actresses Mary Wickens, Shelley Winters, Virginia Mayo, Agnes Moorehead, Josephine Baker and Betty Garble. 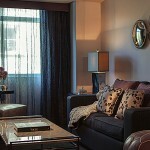 Another suite is dedicate to the author Tennessee Williams. One of the suites has posters of the actor Red Foxx, and two other suites are dedicated to the actors Vincent Prices and Buddy Ebsen. The Eclipse restaurant is located on one of the hotel’s floors. The restaurant serves traditional American dishes that use fresh, local and organic ingredients. Cocktails are served during dinner. The restaurant menu is a retro comic. 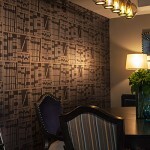 Guests will be able to enjoy breakfasts, lunches and dinners in the restaurant and in their rooms. The restaurant’s bar is decorated with blue optic fibre river, and is known for its selection of cocktails and wines. The restaurant is decorated with figurines of spaceships. The Rooftop Terrace Bar has a large terrace with views towards the city. The colour of the lobby changes from white to green to blue and back to white, and the lobby itself is filled with paintings of the moon, moon toys and sparkling stones. The hotel has a fitness center that offers complimentary mineral water and towels to guests. The hotel has several conference rooms. Guests can celebrate and organize private and public events in the conference halls, and each conference hall has desks, chairs and several projectors. 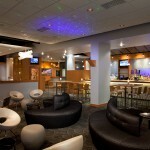 The Walk of Fame suites can be used for meeting and other events. The hotel can provide tables for more than ten people if there are more than four people at a conference. The hotel staff can redecorate and prepare the suites for private events, transforming the suites into dining halls with long tables and conference halls. The rooms can be decorated with balloons, flowers and other decorations. 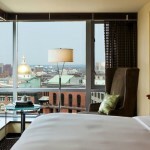 The hotel is located on The Loop, one of the most visited districts in St. Louis, in Missouri. 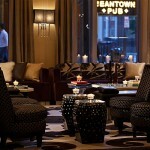 Next to the hotel guests will find many bars, restaurants, boutique stores and shops. The hotel is located next to the Pageant, one of the city’s most visited places. 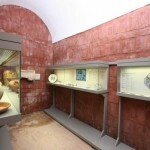 There are more than ten galleries where visitors will be able to see paintings and sculptures. Guests will be able to explore the city and walk along the Walk of Fame. The Ark is a lodge located in Mount Kenya, in Kenya. 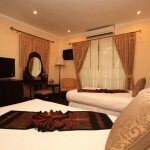 This lodge has several rooms in large bungalows and the hotel’s territory has a waterhole where animals come to drink. 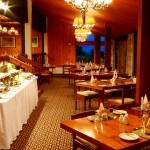 The lodge has 60 rooms, and each room has traditional decorations and wooden carvings. 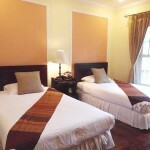 There are five individual rooms, 37 twin rooms, ten double rooms with a large double bed each and eight triple rooms. Each one of the rooms was built using materials similar to those used in building traditional cabins, and each cabin has its own private bathroom with a shower. 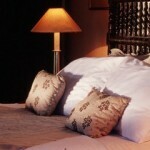 There are bottles of mineral water for guests, and each afternoon the hotel offers hot water bottles per bed. 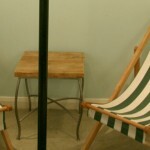 Part of the rooms were designed for guests with mobility issues. Each one of the cabins has a terrace with views towards the watering hole located on the hotel grounds, a place where many local animals com to drink. 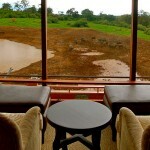 The terraces have armchairs and sofas for guests who want to observe the animals. The cabins have an alarm that sounds when one of the Big Five comes to the waterhole. The building of the hotel has the shape of a ship, a symbol for Noah’s Ark. There are three decks in the building, each deck formed by several cabins, and there are large balconies from where guests will be able to enjoy views towards the hotel territory. On the ground floor there is an area where guests will be able to come closer to the animals. Guests will be able to enjoy breakfast and dinner at the hotel’s large dining hall. 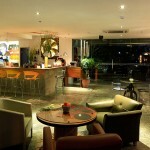 One of the decks has a terrace with a lounge bar where coffee and tea are served. Lunch is served at a nearby property, the Aberdare Country Club, where guests will find several restaurants, golf courses and tennis courts. The dishes served at the club use organic and local ingredients, many of which grow on the country club’s own farm. The country club can adapt most of their dishes to guests will food allergies. There is a wine cellar with a selection of wine. There are no conference halls at this hotel. 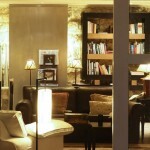 The hotel’s library has many publications about the animals and plants that can be found in the region. 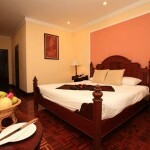 The hotel can organize events, safaris, trips and visits to nearby national parks for groups. 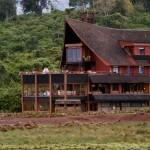 The lodge is located in the Aberdare National Park. The hunting lodge has a bridge with views towards a waterhole that was formed by the rain where local animals come to drink. Guests have to travel across the Aberdare Country Club to reach the hotel. 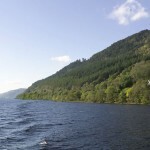 Guided tours are organized around the national park. 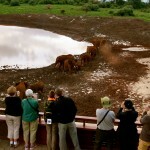 Visitors will be able to enjoy many activities, from birdwatching and walks along the paths to safaris around the park. Guests who stay at the hotel will be able to see elephants, leopards, rhinoceros and other local animals. 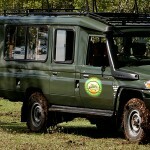 Safaris are organized around Abderdare National park and other nearby parks. The peaks of the Batian, Kenya and Nelion mountains can be seen from the park, and guests will be able to observe colourful birds and buffaloes and other large animals. 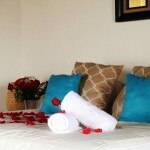 The Coral Lodge Hotel is located in the San Blas archipelago, off the coast of Panama. 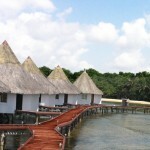 This ecological lodge has several cabins, each one with a private terrace and access to the sea. 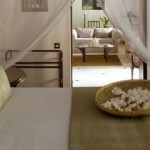 Each one of the six bungalows has a kingsize bed covered in mosquito netting and a bathroom with a jacuzzi. 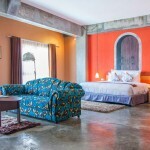 Each living room is decorated with local art and wooden furniture carved by locals, and has access to a terrace with a hammock. 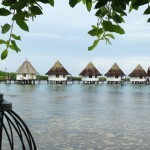 The villa are located above and in the water, and each bungalow is a traditional palapa house. Each suite has a bathroom with a jacuzzi that has views towards the sea. Guests will be able to enjoy views towards the jungle and the sea from the hammock on the terrace, the jacuzzi and the living room. This hotel is an ecological and sustainable lodge. The materials used in its construction are local recyclable materials and the decorations were made by local artists. Price per bungalow varies between 80 and 120€ per night, and can reach 180€ for three meals. The Cayuco Café is a restaurant where guests will be able to enjoy Caribbean, Latin and Mediterranean dishes. The many offers a variety of seafood and rice. The restaurant has a deck where visitors will be able to leave their kayaks. The Casona Bohio is decorated with traditional wooden furniture and light colours, and is known for its local dishes and the bocas and piqueos that are served with cocktails. During breakfast, lunch and dinner visitors will be able to enjoy views towards the sea. The Casona, located next to the reception area, used to be a meeting point for the Kuna Indians, and has now been transformed into a restaurant where kuna dishes are served. This hotel was designed to be a place where guests would be able to relax, and there is no Internet in the hotel. The lodge does not have any conference rooms where events can be celebrated. 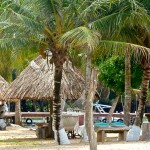 The hotel organizes several group activities ranging from diving trips to horse riding along the coast. 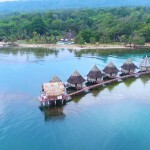 The hotel is located in a natural reserve on the country’s coast, near the San Blas archipelago in Panama. The nearby islands are known for the ancient ruins of the Kuna Indians. A short boat ride away visitors will find the island of San Blas, where many traditional Kuna villages are located. Guests who want to stay at this resort have to land on Povernir Island, where the hotel’s ferry can pick them up and show them around the nearby islands. Guests will be able to enjoy walks by the beach, known for its golden sands. Visitors will be able to dive and see the coral reefs, and the hotel has diving equipment for rent. Guests will be able to enjoy diving courses and guided walks around the jungle. There are guided kayak tours around the nearby islands.